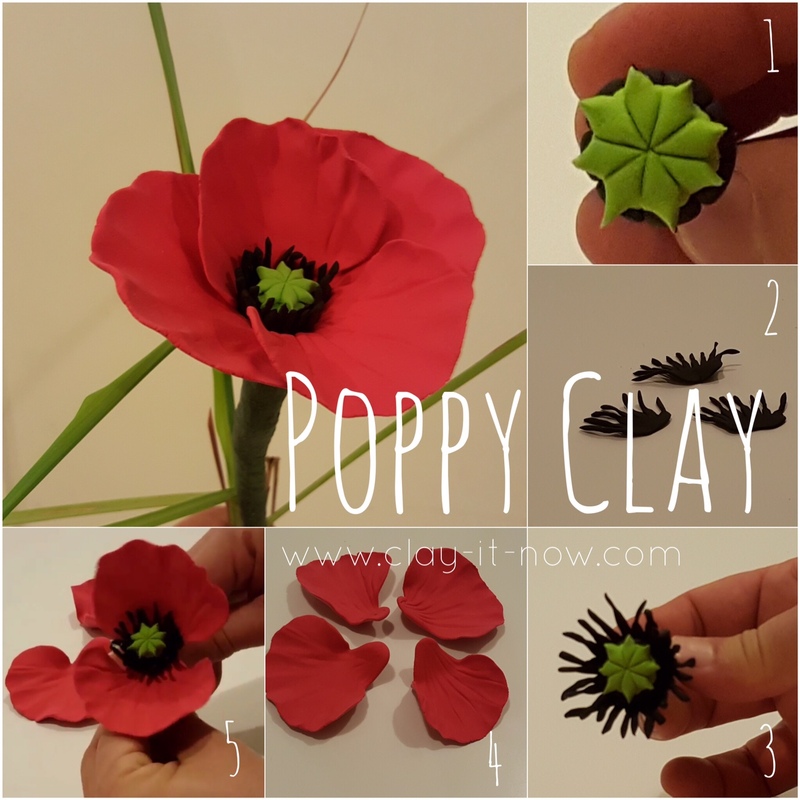 Here you'll see poppy flower tutorial made of air dry clay. You may have seen people wearing poppy in paper or silk for Memorial day in United States of America on last Monday of May or ANZAC day in Australia every year in April 25. I would think the clay version looks nice and appropriate for this event. We can make poppy clay for brooch or hat and hair accessories. Red poppy symbolizes remembrance, worn during the day to remember those who served and died in war. She was the first to wear one, and sold poppies to her friends and co-workers with the money going to benefit servicemen in need. Later a Madam Guerin from France was visiting the United States and learned of this new custom started by Ms. Michael. When she returned to France she made artificial red poppies to raise money for war orphaned children and widowed women. This tradition spread to other countries. Alright, let's check out our poppy flower tutorial. We've used light-weight air dry clay as it is easy to handle and suitable for all ages. If you like, you can also use an oven-baked polymer clay. Check our pros and cons between these two type of clay at "what clay to buy" page. In fact, homemade clay would be good too. Beside of clay, you'll need glue to paste the petals to the center of the flower. 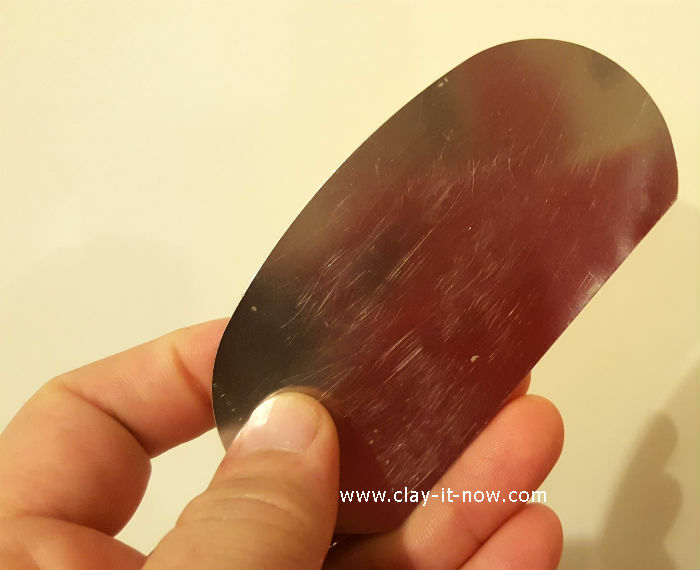 PVA glue or school glue is good enough for air dry clay. As for the tool, you'll only need scissor. But, I also like to use clay scraper. This is one of my favorite clay tools. We start with the center of the flower. We used clay scraper to cute the green clay to eight section and then use scissor to pull up the edges and pinch the corner to make it sharp. It looks like a star on the stump. Wrap around those you make in step 2 to the center of the flower. 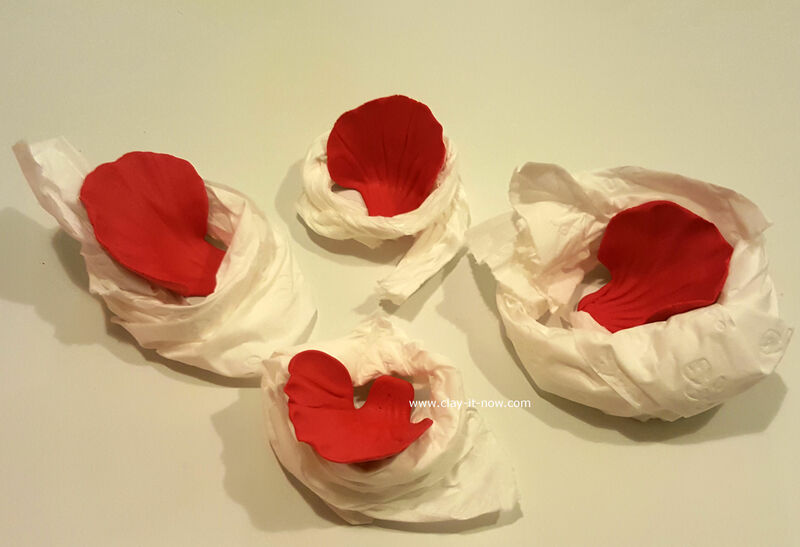 Make 4 poppy petals, 2 pieces larger than the other 2. You can start with ball shape, change it to teardrops, flatten it and use your clay tool to make the line marks on the petals. We use toilet roll to make a backing for the petal so it will stay in shape until its dry. Glue the petal one by one to the center of the flower. Our poppy clay is done now. 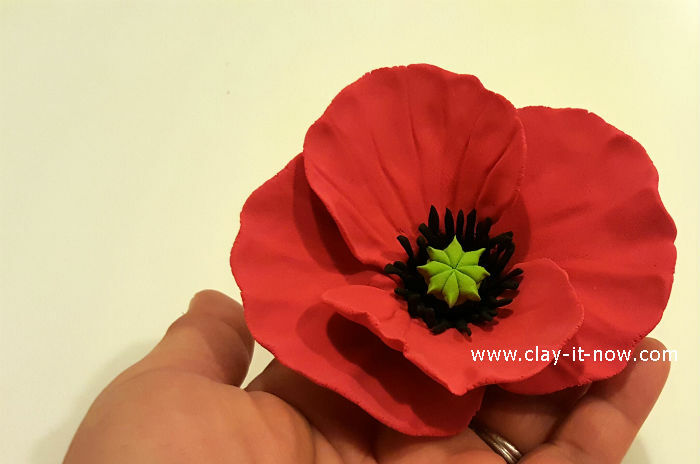 By the way, you can also see our poppy flower tutorial in clayitnow you tube channel.